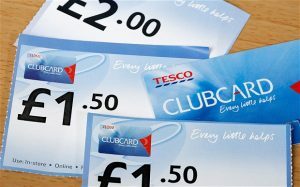 I broke the news on Monday that some substantial changes to Tesco Clubcard redemptions had been implemented overnight. My initial impression of the changes was that they were actually positive overall, when examined from a ‘real’ value perspective. I stand by that assessment and I’ll explain why in a minute, but many Clubcard members were angered by the reduction in the 4x face value options (restaurants and ‘days out’ primarily) to 3x. In particular, there was fury at the way the changes were implemented with immediate effect, with no warning, which is a very fair criticism. “Full details of this “grace period” will follow, but Tesco told us it’s “likely” to last until 10 June, after which 4x vouchers will drop in value. Other changes announced on Monday, including tokens previously worth 2x the value increasing to 3x the value, will proceed immediately. The first thing I want to be clear about is that when I say the changes to Tesco Clubcard are good, I mean when looked at in the round. Clearly, if you were saving up your vouchers for a particular 4x redemption that was then downgraded to 3x overnight, I can understand why you’d be annoyed! Introducing the changes without giving any notice whatsoever is unacceptable, and I’m very glad to see that Tesco has been forced into adopting a more reasonable approach. Let’s put the timing to one side though, and focus on the changes themselves. Transfer rates to British Airways Avios and Virgin Flying Club are staying the same – so that’s neutral. The old 2x face value redemption options are increasing by 50% to 3x. This is a big positive, because these tend to be the sort of redemption options where getting a substantial alternative discount is challenging. Let’s take train ticketing site RedSpottedHanky as an example. Train tickets are priced more or less the same (apart from relatively minor booking fees / cashback and occasional promotions) regardless of where you buy them from. This means that the 3x face value you are getting for your Tesco Clubcard vouchers is almost entirely ‘real’. Options like National Express and Uber provide a similar level of almost ‘real’ value. On the other hand, the old 4x partners that are being reduced to 3x rarely provided anything like 4x in terms of ‘real’ value. Just 10 seconds of Googling is all it usually takes to find a 241 or 50% offer for restaurant partners like Pizza Express and Bella Italia. Crucially – to benefit from those discount offers you can’t pay using Tesco Clubcard vouchers. This means that your 4x face value is really more like 2x in reality. Some of the days out options provide ‘real’ value closer to 4x, due to a lack of substantial alternative discount options, but it’s not that common. Therefore, although the 4x to 3x changes are negative in theory, they aren’t necessarily bad in practice. In fact, if the changes encourage Tesco Clubcard Point collectors to redeem their vouchers with partners that offer better ‘real’ value, then those collectors could actually end up better off overall. John earns £100 of Clubcard vouchers each year. He usually transfers them to Pizza Express vouchers at 4x face value to pay for meals with friends and family. His Clubcard vouchers therefore have a notional value of £400. The problem is that notional value is not real value. John could easily have got 241 or 50% off vouchers instead, but he could not combine them with his Clubcard vouchers. He could have bought £400 ‘worth’ of Pizza Express food for £200 using other (free) vouchers, so is only receiving 2x face value from his Clubcard vouchers in reality. With the change to 3x, he would only be receiving 1.5x ‘real’ value. Instead, John decides to start using his Clubcard vouchers for things like trains, coaches and Uber where substantial alternative discounts are hard to find – all of which save him something close to 3x in ‘real value’. John is therefore saving nearer to £300 in real money now, when before he only saved about £200 in real money spending his Clubcard vouchers at restaurants. Obviously the above is an extreme example and you can argue a bit at the margins, but the basic point stands. 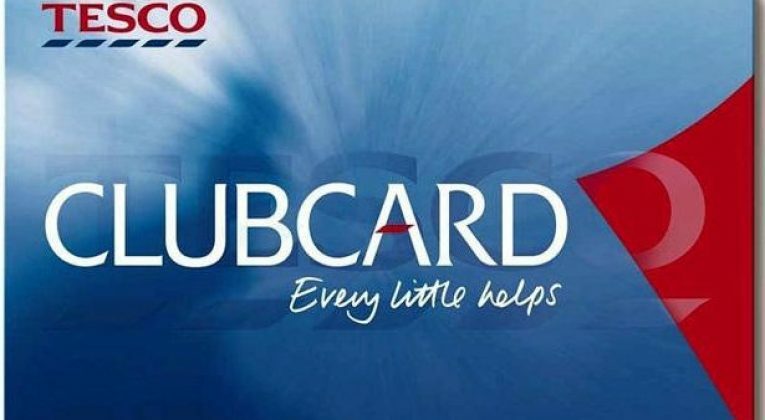 Overall, the changes to Tesco Clubcard are positive in my view, but I can completely understand why people were angry about the way they were introduced without warning. Fortunately, Tesco has now delayed the implementation of the negative changes. I’m not sure I understand your x2 value only point about the Clubcard voucers. We don’t use them for travel, only a special meal now and again and we love it. The x4 still gives us a free meal (just pay for drinks) which we wouldn’t be able to afford. And by lowering it, we will have to save up more or not go as often. It may be dead money or not real money to some people, but to us it is a real treat to eat out. There is no point in getting 2 4 1 or 50% off vouchers instead, or to use if you could combine, as this Clubcard meal is FREE. Hi DD – thanks for commenting! Clubcard vouchers have a minimum value of whatever the face value of them is – because you could use them to buy shopping at that rate. When you use them for Clubcard Boost, what you need to consider is the real additional value you are getting from the boost, over and above the value you would get if you just used them towards your next Tesco shop. If I have £10 of Clubcard vouchers, I can currently turn them into £10 of shopping, £30 of uber vouchers or £40 of restaurant vouchers (for example), but the real saving isn’t so simple. The £10 of shopping is directly equivalent to £10 in cash, because I would otherwise spend £10 cash in Tesco anyway. The £30 of Uber voucher is equivalent to almost £30 in cash, because I would otherwise pay cash for Uber or taxis, but can sometimes buy Uber credit/vouchers with a small discount. Let’s say that discount is 10% on average, meaning if I paid cash for £30 of Uber vouchers, I would pay £27 in real money. Therefore, using my £10 clubcard voucher this way is saving me the £27 I would otherwise have spent in order to have £30 of Uber credit. I’m receiving 2.7x the face value of the clubcard voucher in reality. The £40 of restaurant vouchers is not equivalent to £40 in cash – if other offers exist that can’t be stacked with using the voucher. If I can regularly get a 50% discount voucher for free for the same restaurant, £40 worth of food there would only actually cost me £20 if I was paying cash. It’s the real cash saving that matters, not the theoretical value of something. The Clubcard meal is not free – because you could use the voucher in other ways. At the very least, it is worth the £10 face value. If you genuinely never need to travel anywhere (where doing so by coach, train or taxi would be more economical than driving or other means of transport), then I admit that those ‘close to real’ 3x value options aren’t any use to you, but those circumstances would be very rare. The vast, vast majority of people do sometimes need to travel by coach, train or taxi – even if only very occasionally. Hope that helps, but let me know if anything still needs a bit of clarifying! Restaurant 2-4-1s normally do not include starters, deserts, and most don’t include drinks, but Tesco vouchers do for the entire meal! I think it’s still a pretty good steak at x4 value. For the likes of me who don’t use a lot of trains or Uber or national express it really doesn’t mean much to me…. Tesco vouchers can only be used for food, not drinks, at most places I think – certainly that’s the case at Pizza Express, Bella Italia, etc. Sticking with Pizza Express, you can literally just go to their own website to get 241 offers or deals like Starter + Main for £9.99 (https://www.pizzaexpress.com/leeds-park-square/offers), which is effectively ~50% off. I’m not saying that using Clubcard vouchers for restaurants is a bad deal (clearly that always depends on individual circumstances and it’s definitely better than just using them at face value to buy shopping), but the 4x valuation isn’t real, given the other free and very quick ways you can save about 50%. If you have no use at all for trains, coaches, taxis etc, then redeeming for a ‘real’ 2x at restaurants might be a reasonable redemption, but most people do need to use at least one of the transport options sometimes. If those people used to use their Clubcard vouchers for meals out, they will now be better off in real terms using them for transport – assuming they remember to spend 30 seconds getting a 50%/241 voucher for their meals out. Looks like Tesco have changed their stand on this grace period and “tokens previously worth 2x the value increasing to 3x the value, will proceed immediately.” is not holding true. Poor form. Well spotted – that’s ridiculous! (will update the post shortly). Has anyone noticed if any of the other new 3xs have been downgraded already.